It has been SO hot the past few days! I asked the beloved what he wanted for dinner and his response was, “something light”. Well, that’s a wide range, but when I suggested a salad, he was all on board! He was probably thinking more on the lines of a cobb salad, but my mind went to my personal favorite……….. When we go out for dinner, my salad of choice is always a Caesar. Mmmmm…….garlic, salt, cheese…what’s not to love?!? To a blender add the anchovy, egg yolks, lemon juice, mustard, and water. 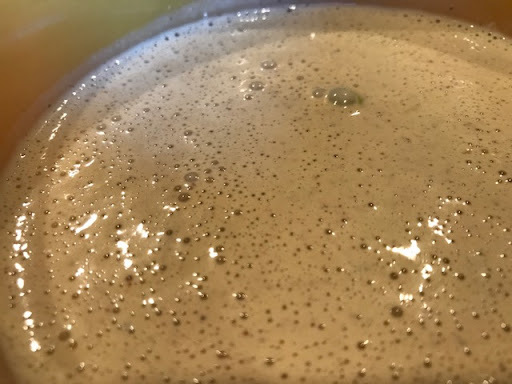 Blend for 30 seconds and slowly add the olive oil to emulsify. Add the cheese and stir to combine. In the meantime, cut the garlic in half and rub around your salad bowl, generously. Cut the lettuce into one inch cubes and add to the bowl. Drizzle the dressing over the lettuce and serve immediately. Top with croutons if desired. We are still gluten free so I didn’t add them. 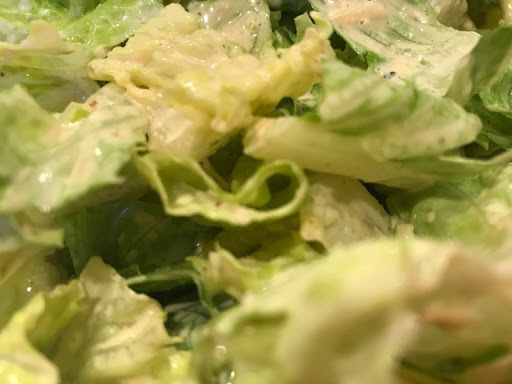 This recipe makes more than enough dressing for the lettuce listed. Drizzle on the dressing to your desired amount, then refrigerate the remaining dressing for a later salad.